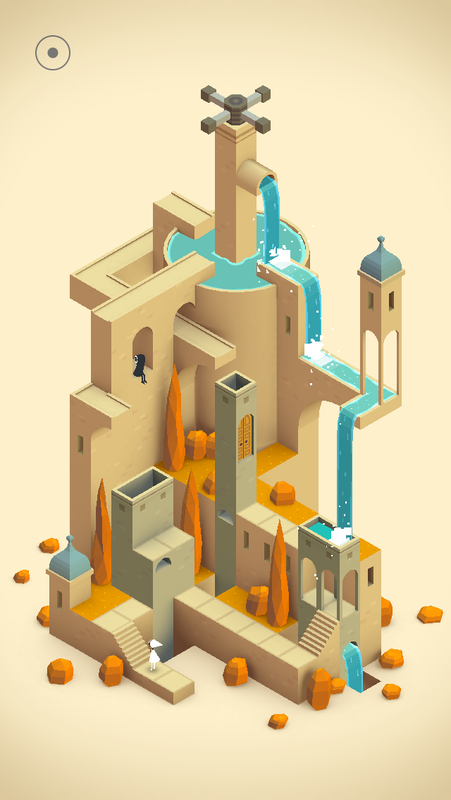 Count me among the folks who played Monument Valley and adored it, but wished it was longer and more challenging. I appreciated it for the unique piece of art that it is, but wanted more of a brain workout. Well, the nice developers at ustwo games have been listening to the fans and delivered with an expansion pack called Forgotten Shores. Forgotten Shores offers eight new levels that are unlockable via a $1.99 in-app purchase (IAP) within the original app. While the new content may not sound like much when the original was only ten short levels, the new levels are exactly what we’ve been wishing for. 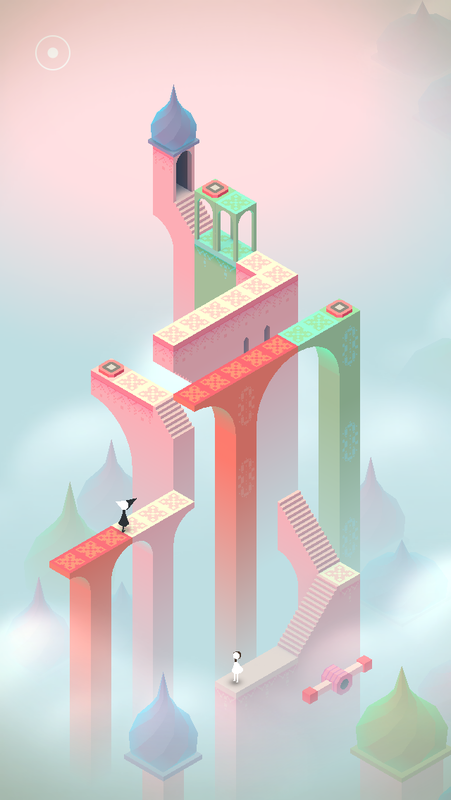 Each level, with the exception of the first, is longer and requires more thinking than most of the original game. 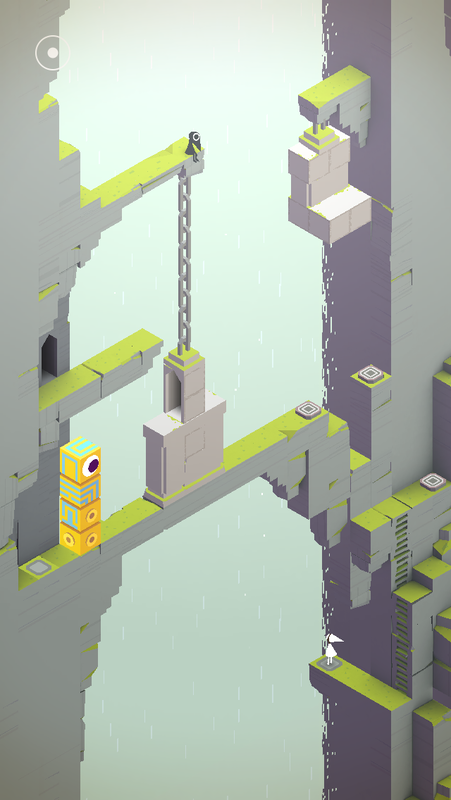 Best of all, Totem returns, and brings with him new puzzle elements not seen before. Without giving too much away, here’s a sample of what you’ll encounter. Besides the return of Totem in a huge way, the crow people play a big part in the new content. They’re causing trouble again, and you’ll need to use them quite a bit to step on buttons when Ida can’t. There’s a new element that involves twisting platforms so you can reach different sides of them. There’s also a level that immediately made me think of the Tardis from Doctor Who — “it’s bigger on the inside!” It’s somewhat like Chapter VIII, The Box, but more elaborate. Each spin of the oubliette shows you a different room, and you have to navigate through them to find the end. The final level is the biggest detour from what we’re used to. It involves four separate puzzles that must be done in order, but you don’t know the order until you try each and realize you’re not ready for it. 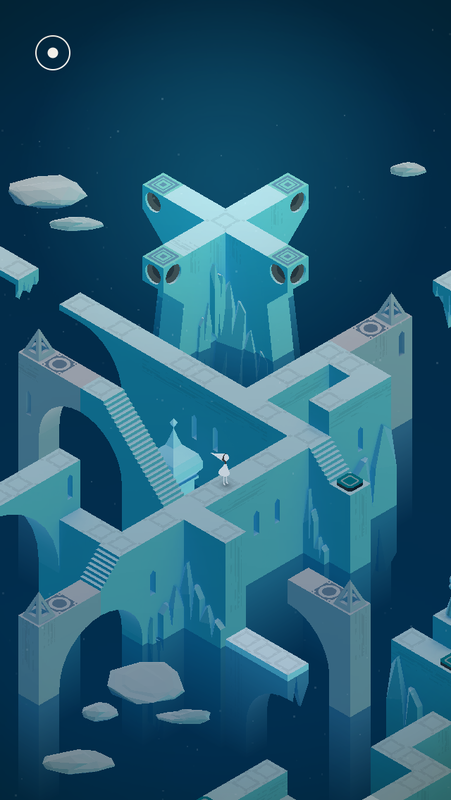 This level brought a bit of frustration I’m not used to from Monument Valley, primarily because I’ve never had to backtrack before in the game. But it was also incredibly rewarding once I figured it all out. I wouldn’t mind an entire spin-off game starring Totem in this state. While I personally am glad I got to experience the whole game, part of me does wish the new content was a separate app, so I could recommend it to friends who might have passed on the original because of its length and difficulty level, but I know would love the new levels. If you already enjoyed the initial game, there really isn’t much to discuss. Buy the expansion, because it is very unlikely that you’ll be disappointed with it. It’s ten times more magical than the original, and it would be a crime to skip it. If you don’t already have the game, you need to decide if the six bucks are worth getting the better content if you don’t care about the entire experience. 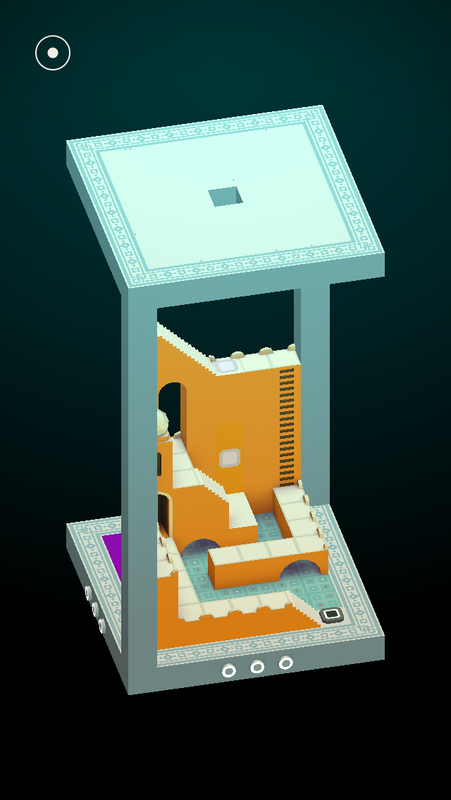 That’s for you to decide, but I think anyone who doesn’t play Monument Valley is missing out in a really big way. 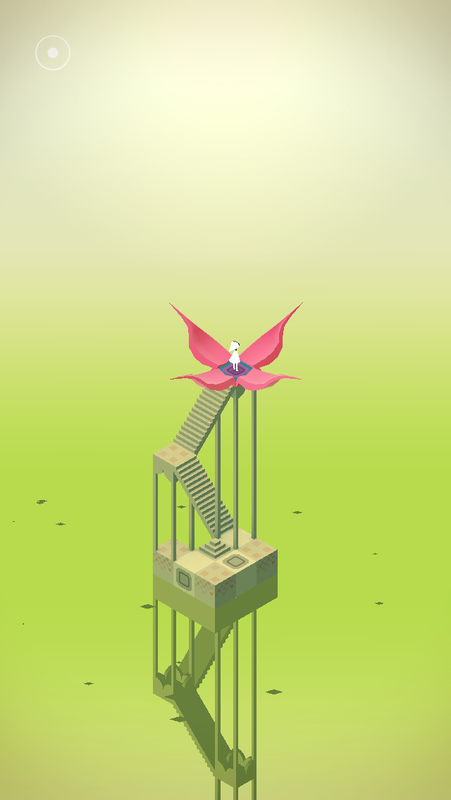 You can see all my Monument Valley reviews and walkthroughs here.